You are here: Home » Columnists » Who is Behind the New Roman Missal? Who is Behind the New Roman Missal? International Commission on English in the Liturgy (ICEL) http://www.icelweb.org . a mixed commission of Catholic Bishops’ Conferences in countries where English is used in the celebration of the Sacred Liturgy according to the Roman Rite. The purpose of the Commission is to prepare English translations of each of the Latin liturgical books and any individual liturgical texts in accord with the directives of the Holy See. Congregation for Divine Worship and the Discipline of the Sacraments (Congregatio de Cultu Divino et Disciplina Sacramentorum) is the congregation (or dicastery) of the Roman Curia that handles most affairs relating to liturgical practices of the Latin Catholic Church as distinct from the Eastern Catholic Churches and also some technical matters relating to the Sacraments. Its functions were originally exercised by the Sacred Congregation of Rites, set up in January 1588 by Pope Sixtus V.
Vox Clara Committee: (Vox is Latin for voice + Clara is Latin for bright, clear.) This Committee of Bishops from around the English-speaking world was established by the Congregation for Divine Worship and the Discipline of the Sacraments on July 19, 2001, to advise that dicastery in its responsibilities related to the translation of liturgical texts in the English language and to strengthen effective cooperation with the Conferences of Bishops. Its inaugural meeting took place from April 22 to April 24 of 2002. 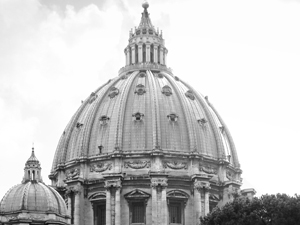 Basically, ICEL relies on the two other committees, both part of the Roman Curia and consisting of many experts. They research the texts, vote on the suggestions, and pass them on to the next committee for their discussion, suggestions, changes, and votes. The committees work together making changes that are more faithful to the original Latin, making text more meaningful. All three committees have experts in language and history that devote their lives to this research, so “the work is good, but some compromises have been made” (“Understanding the Revised Mass Texts,” Fr. Paul Turner).